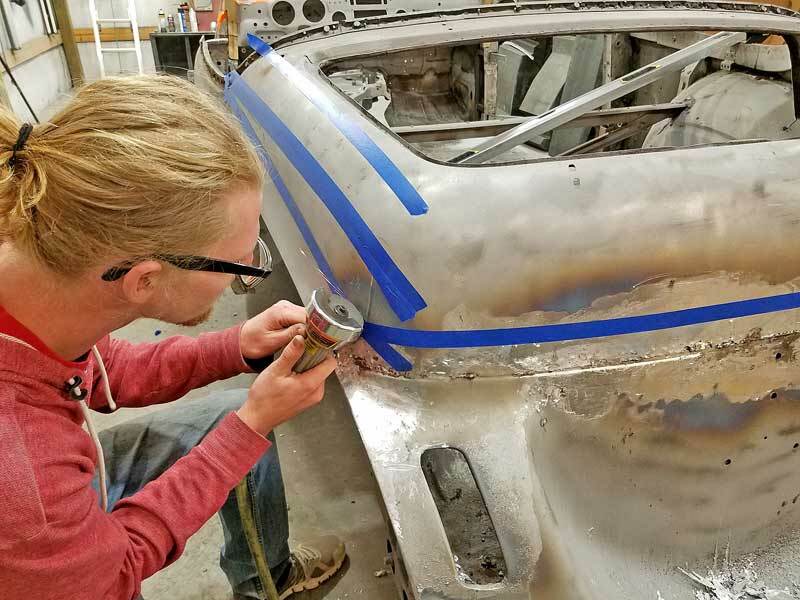 Whether it is a restoration, quick repair, or shop art project, knowing how to cut sheet metal is part of being a DIYer. Getting the job done safely with all your parts intact and that red stuff on the inside where it belongs is pretty dang important. There are many ways to cut sheet metal, which one you need to use depends on the project. The following is a primer of tools and techniques for cutting sheet metal. 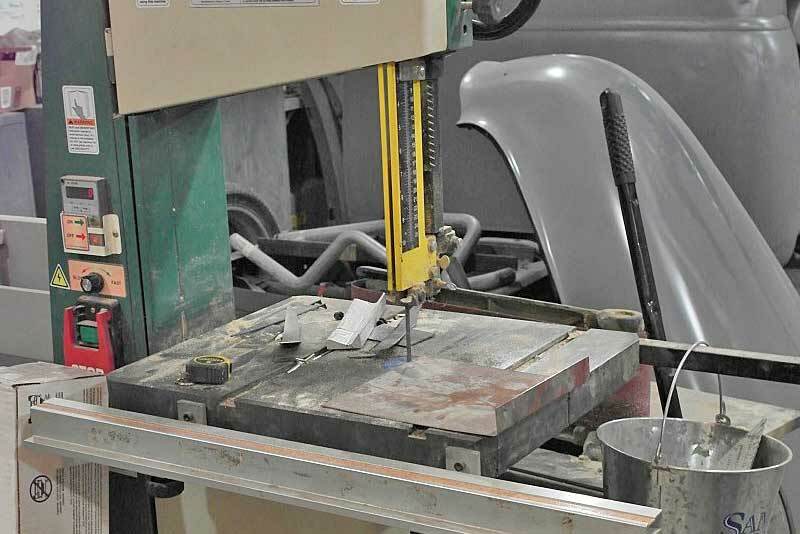 The most important factor to consider when working with sheet metal is the gauge. The lower the number, the thicker the metal is. 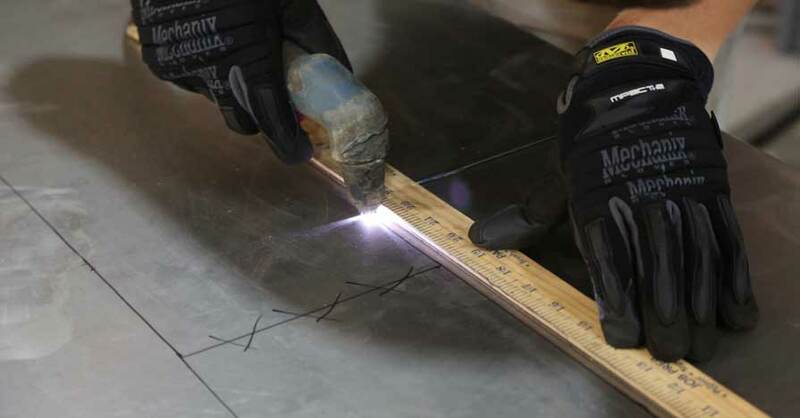 Most sheet metal cutting tools are limited to 16-gauge and thinner, 14-gauge is still sheet metal, but in common forms, 11-gauge, while technically sheet metal, is 1/8” thick, and not really sheet metal for the purposes of this article, so we will focus on 16-gauge and thinner. 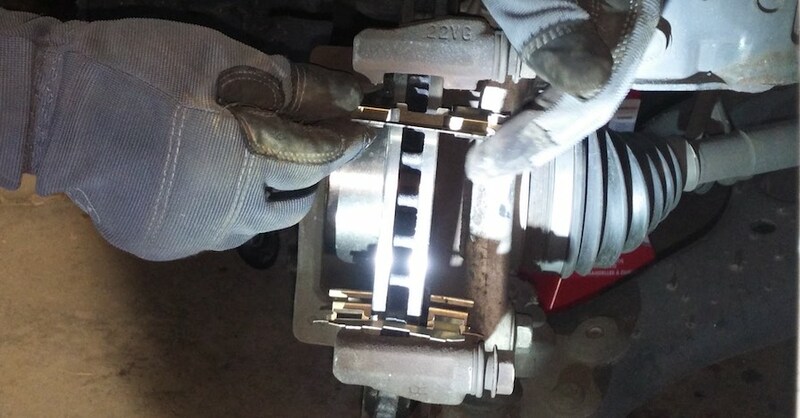 Besides, if you are really trying to use 14-gauge sheet, you either know what you are doing or you need to get thinner metal, as 14-gauge is really hard to work with for automotive purposes with hand tools. Pay attention to the gauge rating for your tools. If it say 18-gauge, that really is the limit. 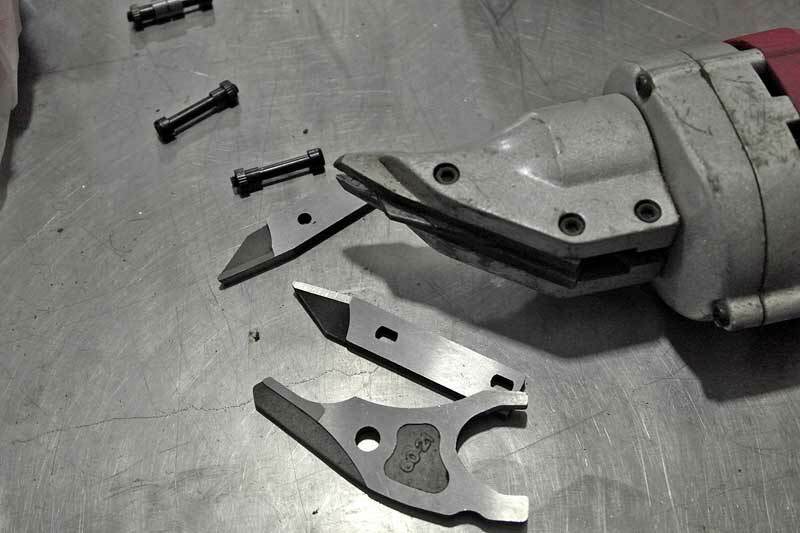 You can damage the tool using it with heavier gauge material. Additionally, the type of metal you are cutting make a big difference. You can go up a couple thickness with aluminum- 20-gauge steel vs. 18-gauge aluminum, but the opposite is true for stainless. If it can handle 18-gauge steel, it might be able to handle 22-gauge stainless, and that is a big maybe. 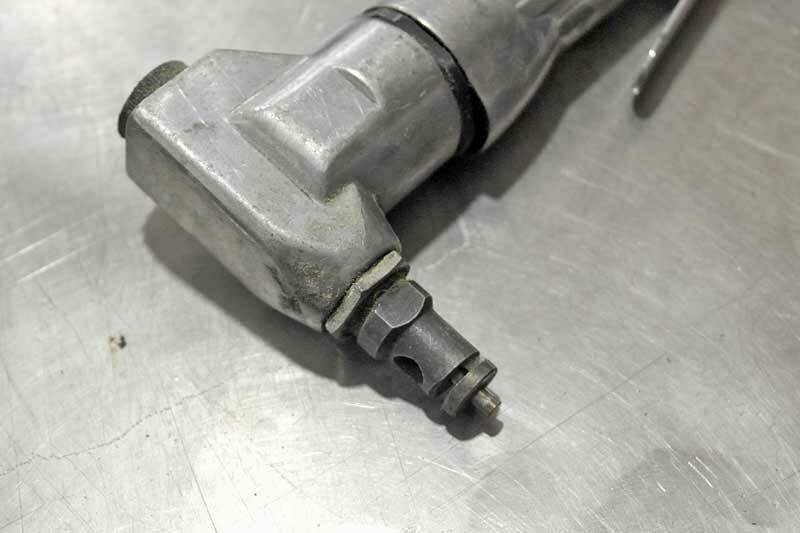 Stainless steel is much more dense than steel, and it known to destroy tools. Tin Snips are really good for thin gauge sheet metal and small cuts. Trying to cut a large piece is not going to work out well, however. 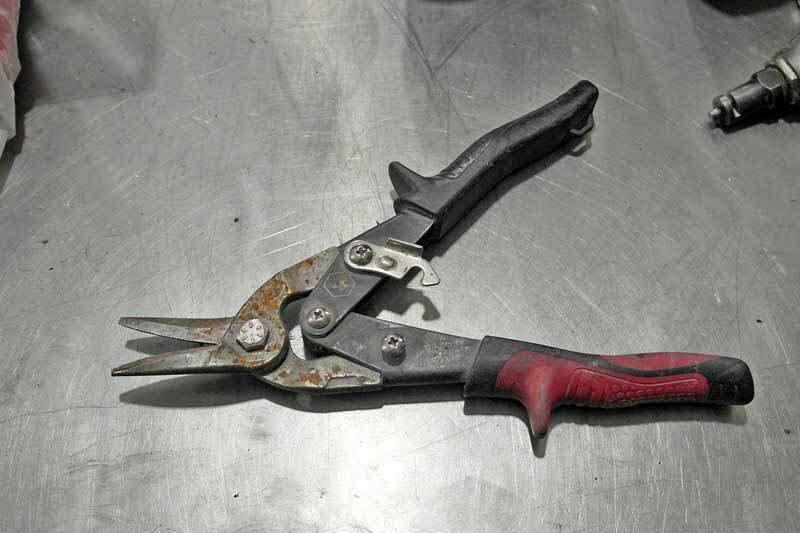 The most common hand tools for cutting sheet metal are hand shears, also known as “tin snips”. There are several versions, from the old school cleaver type, to the much better scissor type that can actually be maneuvered around turns and curves. The scissor type have thinner blades that a shaped to allow for certain cuts. Some are straight line one, some turn left, some right, and some do all three, but not as well as the dedicated styles of the previous three. You want to have all four on hand. 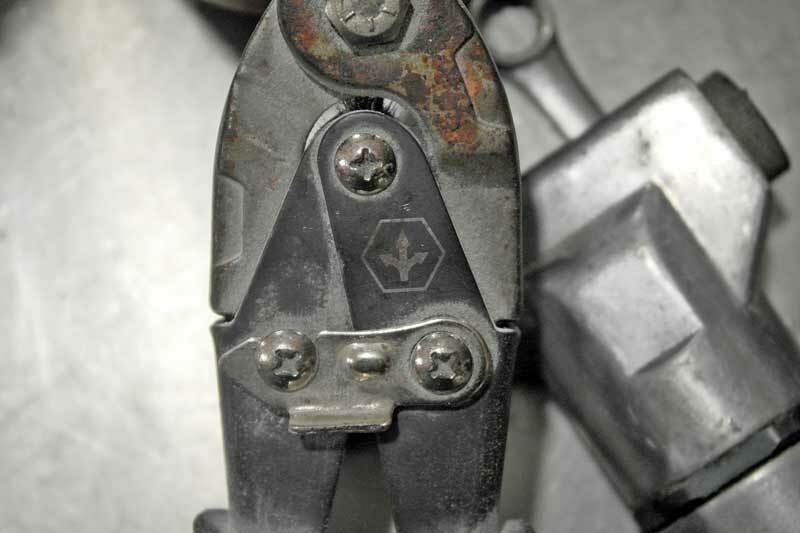 When it comes to hand shears, the longer the handle, the better the leverage, at a cost of maneuverability. The arrows on the handle show the directions the snips will cut. There are about a bajillion mechanical cutting tools, from the massive hydraulic shears, to foot shears, cut off wheels, and saws. We will cover the basic tools that the typical entry-level fabricator can afford and fit in their workshop. We have broken this category down into five categories- shearing, sawing, grinding, burning, and slicing. While some of these may seem redundant, they are not. A basic stomp sheer like is a godsend to any sheet metal fabricator. They are not cheap, so chances are you won’t have one in your shop. This is a straight line cut. That is all you get, no curves. Shearing is typically done with two blades that are pressed down along the knife edges. Big shears operate this way. There are smaller workshop versions that a very handy. If you don’t have the room or cash to buy a stomp shear, you can get a smaller version. There are bench vice shears (about 4-6 inches wide), and hydraulic press shears available to help you make clean, straight edge cuts. A bandsaw, especially one with adjustable speed like this one can cut just about anything. Remember – slow speed with as many teeth on the blade as you can get for cutting metal. This category covers a lot of territory. Anything thing uses a rotating or reciprocating blade is a saw type. 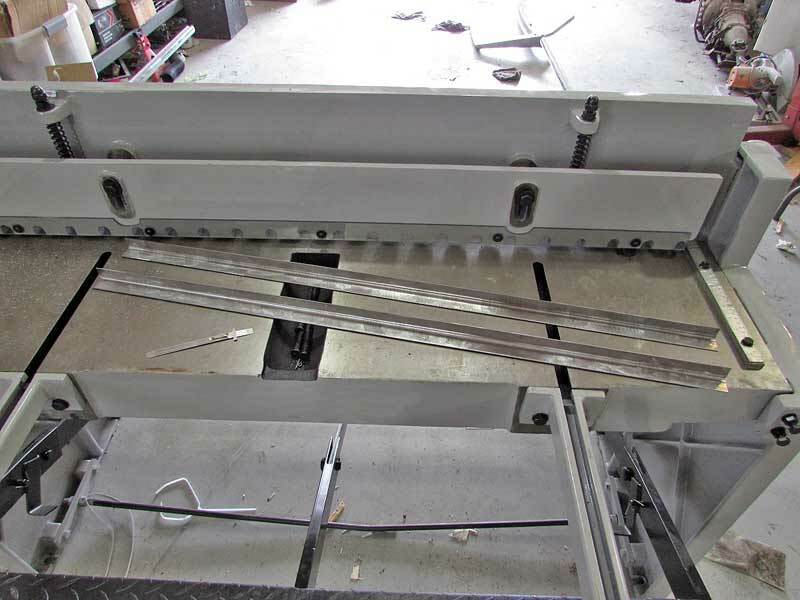 A band saw is a one of the best ways the typical DIYer can cut sheet metal. The blade only moves in a single direction, so there is less jarring at the cut site, plus you have solid table that supports the metal as you cut. The trick with a a band saw is to slow it way down, typically 200-700 RPM is best, with as many teeth per inch (TPI) on the bald as possible. You can get away with a wood blade on thin sheet, but 16 gauge will eat up a 8 TPI blade in a hurry. If you have to use a wood bandsaw, maximize the TPI and use lots of spray lube to keep the blade cool. It is the heat that kills the blade fastest. Also, work very slowly, this also reduces blade wear. A small body saw like this one is good for intricate cuts in sheet metal. They go through blades nothing else, so stock up. Reciprocating saws and jigsaws work for sheet metal, but they really make a mess. You can use a jigsaw on a table to trim sheet metal, but you are better off with something else. 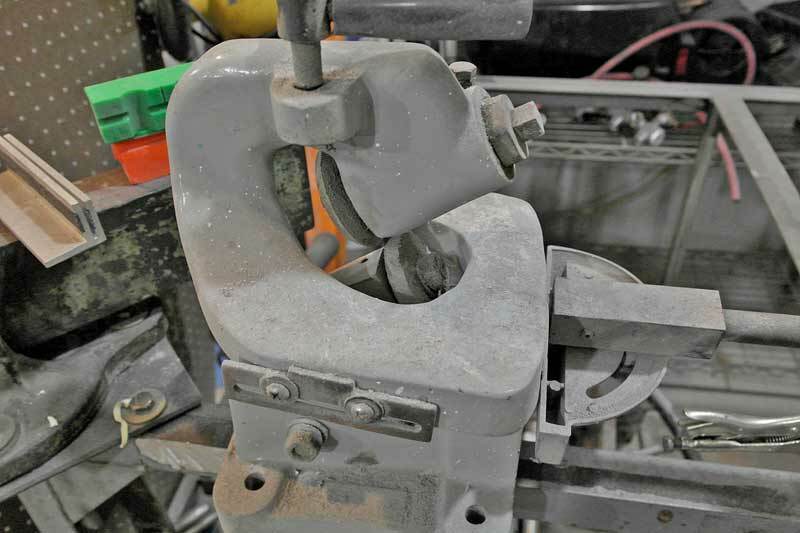 The most common method of sheet metal cutting in the shop is grinding. This cut off wheel eats through sheet metal like butter. A cut-off wheel is a grinder, and is probably the most commonly used tool for DIY sheet metal cutting. They work, are affordable, and fairly versatile, but they also take a lot of time and you are left with a fraction of your hearing when you are done. 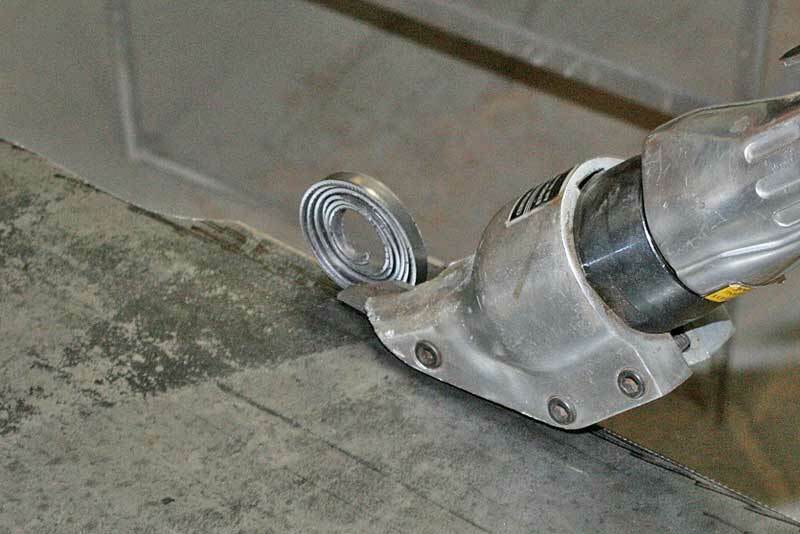 The trick to effective use of the cut-off wheel for sheet metal is faster speed and thinner wheels. An electric grinder with a thin cut-off wheel can zip through a quarter panel really fast, and that is nice. Just be sure to follow the proper safety procedures (see our cutting and grinding article here) to keep you safe. While air-powered cut-off wheels are great, an electric cut-off wheel is much fast and won’t bog down in the metal. 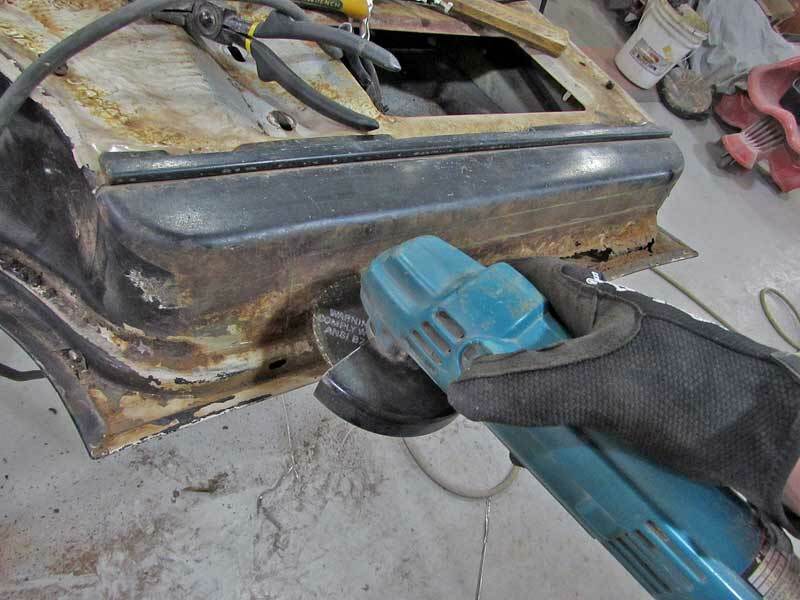 You may not think of using an oxy-acetylene torch for precision sheet metal cuts, and you probably shouldn’t, but that isn’t the only way to burn through sheet metal. The fastest way to cut sheet metal in complex shapes or straight lines (without a shear) is a plasma torch. 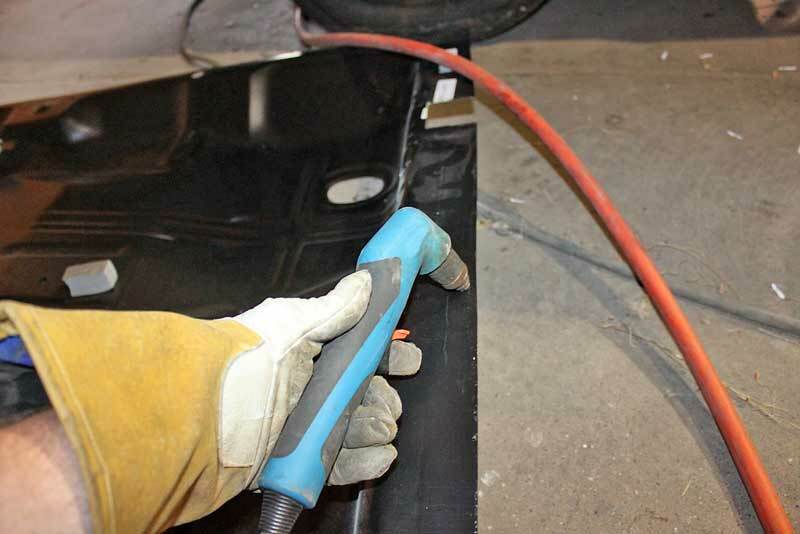 When set to a low amperage, a plasma torch won’t warp the metal, and can yield quick, clean cuts that help you get the job done quickly. 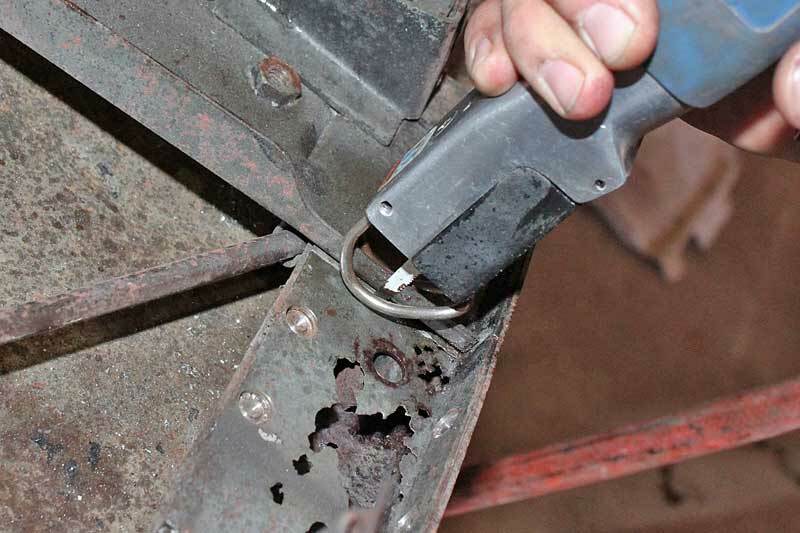 Plus a plasma torch can be used for thick metal too, so they are really handy. They can be pricey, starting in the $750 range, but once you have one, you will wonder how you ever lived without it. Burning through sheet metal is the fastest way to get a cut, but if you are not super careful, you can ruin your cut too. Use a wood straight edge as a guide. The trick to getting clean cuts with a plasma is patience and focus. If you have to cut a straight line, clamp the sheet to a metal table with the edge to be cut just off the table. Mark your line, and clamp a 2×4 or even a yardstick parallel to the edge (use the torch head to get the proper spacing) and then you have an easy guide to get a clean straight cut. For curves and complex shapes, Just use your free hand to guide you. You may be thinking that slicing is the same a shearing, but it isn’t. 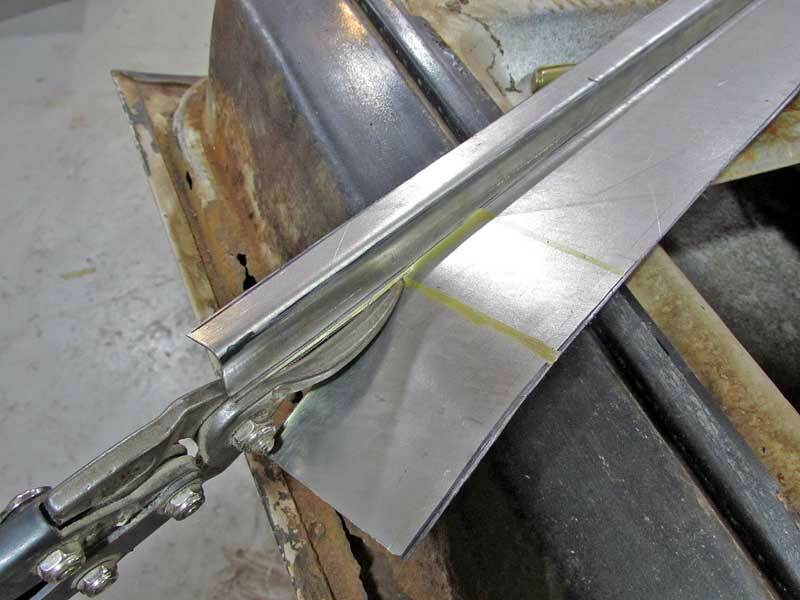 There are all kinds of slicing tools on the market for sheet metal, and they do a heck of a lot more than straight lines. We actually have to break this one down even further into manual and powered. Not as common to see these days, the Beverly sheer is really good for cutting complex shapes with great control. A Beverly shear is similar to a can opener, with two wheels, one of which rotates, that cuts the metal. These are available in both manual and powered forms, but most are manual. You operate a rotating handle to draw the metal into the wheels and cut. These are typically throatless, meaning the two sides of metal are draw through the blade and the vertical support is thin enough for the metal to split between it. These are very useful for complex curves. Nibblers come in various forms, either as a stand-alone air, or electric tool, or as an attachment to a drill. They work really well with a sharp punch blade, but as the punch dulls, they are a nightmare. 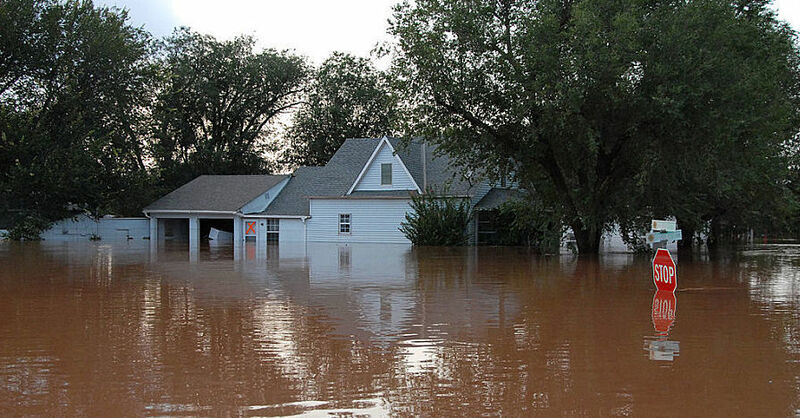 Think of this a jigsaw with a round punch instead of a saw blade. The punch catches the metal between the punch and the die, nibbles off a half moon shape, and then grabs another bite. They are really great until you get the little half-moons in your shoe or pocket, those bad boys hurt. Just be careful and you will be fine. 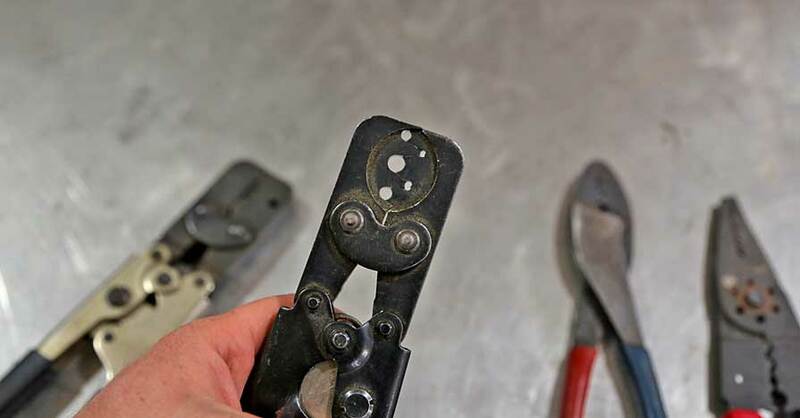 These are nice to have, just make sure you get some replacement punch cutters, as the dull one hang up often, and if you break one in the middle of a project, you have to switch tools or wait until you can get a replacement. 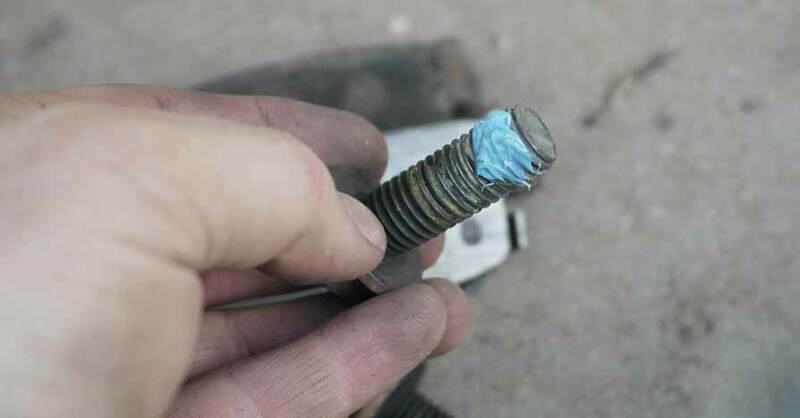 A hand-held shear makes these little coils, which tend to get in the way, but once you have good roll going, they are fast and easy. These shears feature two stationary blades with one reciprocating blade in the center (some only have one fixed blade and one moving blade). They operate similar to scissors, except that a curl of sheet metal come out of the center of the blades. This allows the shears to make tight curves and bends. Air powered shears tend to get stuck, but electric shears have enough torque to get through tough curves. The drawback is that the electric versions are heavy, so you get fatigued quickly and you lose control on long projects where you have to reach out over a big sheet of metal. You also have to deal with the curling metal, which can get in the way. The problem with air and electric shears are that the blades can break like this one. Luckily, replacement blades are available. Working with sheet metal is not hard if you have the right tool. Those scissors you bought off the late night television infomercial ARE NOT the right tool. Just remember to protect your eyes, ears, and skin from the shrapnel. Check out all the tools & equipment available on NAPA Online or trust one of our 16,000 NAPA AutoCare locations for routine maintenance and repairs. For more information on how to cut sheet metal, chat with a knowledgeable expert at your local NAPA AUTO PARTS store.